Children of Arkadia Cover Reveal! Thanks to my publisher, Bundoran Press, I’m thrilled to be able to show off the cover for my upcoming novel, Children of Arkadia, done by Prix Aurora Award nominee Dan O’Driscoll. 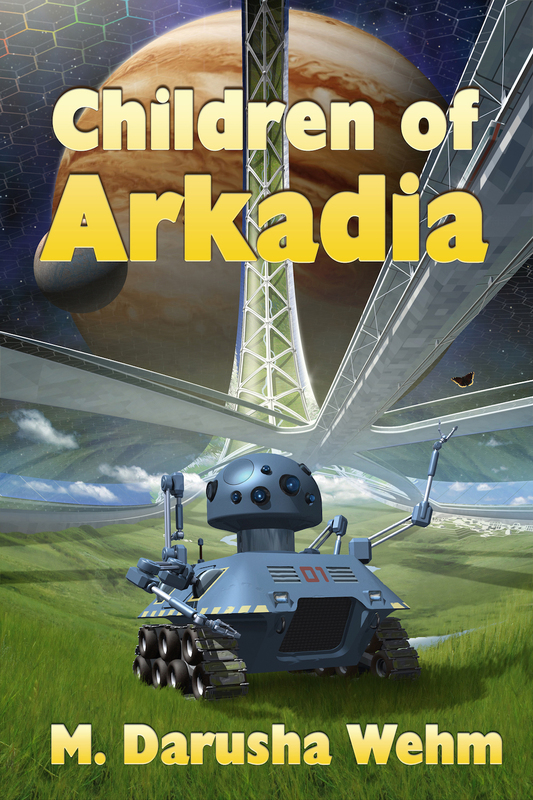 Children of Arkadia is the story of the creation of a new society in space, as told from several viewpoints. One of those perspective belongs to Kaus, an artificial general intelligence, shown here on the cover embodied in an agricultural drone. Look for Children of Arkadia to launch in March/April 2015. Find out more at Bundoran Press, or subscribe to my mailing list for updates.